Ice fishing season is slowly melting away. The good news is that it looks like there will be plenty of water for the rest of this years fishing destinations. Many icemen live out of a bucket, sled, or sack. Their special baits, rigs, jigs, and gear are tangled, and need of some love. Hooks may be dull, line may be kinked, and tackle may need attention. Switch your gear out now! What is your next fishing challenge? If you are a fly fisherman, then start by getting out your vest or chest pack. Organize and evaluate what you need. Clean and service your fly-fishing rods and reels. Check your waders and boots incase you need a repair, cleaning, or reconditioning. 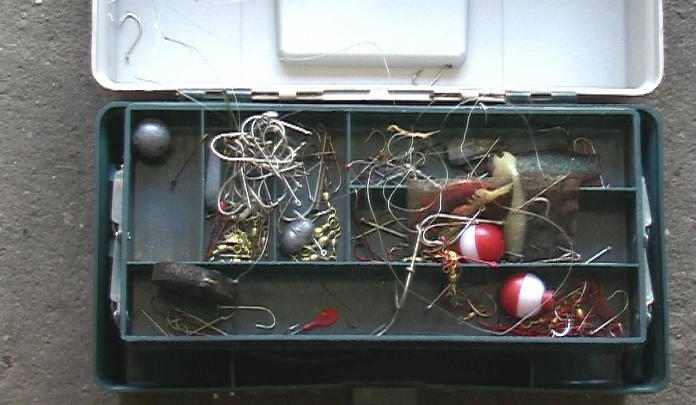 Spin fisherman can wind up their season and inspect their spinner boxes, hooks, and equipment. Search through each rig and look for line that needs snipped, hooks that need sharpened, and vacancies that need filled. New line should be an annual gift. Dispose of your old line properly and treat yourself to some new threads! Pack up your ice gear for next season. Make sure they are clean, organized, and together. Get rid of any hidden bait. Maggots, worms, and other bait can come back to haunt you. Don’t just chuck it into a bucket and shove it into a corner. With a little preparation and planning, you can give yourself a jumpstart next season. 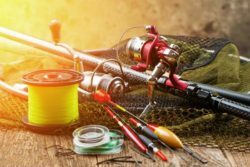 Gear up and get ready for a great fishing season!